Sarah Schols started singing at 6 and acting when she was just 8. All her music teachers loved to teach her because of her true ear, range and ability and from a very early age, her school report cards inevitably noted “Sarah LOVES Drama”. Becoming serious about the industry after performing in “Annie Get Your Gun” at age 15, her outstanding performance after stepping into this role at only 24 hours notice resulted in a recommendation for Scholarship to the Australian Theatre For Young People (ATYP) where Sarah successfully gained one of just 15 places from 300 other candidates auditioning. Sarah also joined Picton Theatre Group (PTG), while undertaking workshops with both ATYP and NIDA later touring Australia with ATYP to perform in “The Caucasian Chalk Circle”. Her successful interpretation led to a scholarship and an invitation to return to ATYP to tour Japan the following year. While working full time, Sarah joined Campbelltown Theatre Group for a year and successfully auditioned for television advertisements before becoming part of an all girl singing group that previewed very successfully. Armande Assanti in the cast line up, while also recording the soundtrack and having the surprise opportunity of singing with Johnny Diesel. For the next two years she performed in a number of successful semi professional shows. Sarah also began to pursue other life avenues, one being Childcare study at TAFE. At this time she also gave an impromptu singing performance that blew the socks off former Santana backing Drummer Johhny Espinosa, who asked her to sign on the spot to front his own band performing in Sydney and appear in a play he was writing. Musical theatre however was in Sarah’s blood and she auditioned for the Melbourne Theatre Production of “Sunset Boulevard” and though selected, the Director asked her to pass this over to audition for a main role in the professional Sydney production of “Les Miserables”. When the audition time arrived Sarah was in for another surprise, she found she was pregnant with her first child Jasmyn! Later Sarah was sought for and played the lead role of “Jane Eyre” Jane Austins ‘s famous character created in her novel, in the world premiere as a Musical. Sarah continued performing and after the birth of her second child Harrisen re-aligned with PTG. Writing and staging a Christmas Pantomime ‘The Spirit of Christmas’, the following year saw her become president of PTG and write her second tongue in cheek PTG Pantomime continuing the popular character of Jack in “Jack’s Back”. Sarah has also written and developed three films and previews and is a registered Talent Agent having worked on ‘A Place to Call Home’ Series One to Five, LoveChild, The Battle of Balmoral, Pig Iron Bob The Crater, Mel Gibson's Hacksaw Ridge and was a 'Lady in Black' for Bruce Beresford's new film 'Ladies in Black' to be released in 2018. In 2011 Sarah was recognised for her dedication and commitment to the development of the arts with young people within Wollondilly and received the Agnes Chalker Cultural Award – only the second person to receive this! She is now also being sought out for Corporate film development. In 2013, she was offered a position in London at the prestigious Trinity College teaching Performing Arts, a year prior to her completing her LTCL in Performing Arts (the highest degree available). Sarah is also involved in developing performance, singing and drama with in local schools and has worked as an advisor and developer for Wakakirri. To Date Sarah has had: 30 lead roles in Musical, Comedy & Dramatic productions such as “Annie Get Your Gun”, “Jane Eyre”, “A Funny Thing Happened On The Way To The Forum”, “West Side Story”, “Leader Of The Pack”, “The Heartbreak Kid”, “Les Miserables” ( Eponine – 3 times)” The Caucasian Chalk Circle”, “Other Times” (2nd in “The Summer Of The 17th Doll Trilogy”), “Godspell” “Cosi”, “Jesus Christ Superstar”, “Joseph and the Amazing Technicolor Dreamcoat”, "Phantom of the Opera", "The Sound of Music" and numerous original productions. Trained with ATYP, NIDA and the Sydney Theatre Company Numerous professional and amateur singing appearances. Was the vocal coach / singing instructor for Season Five of A Place to Call Home. Featured in ‘Beneath Black Skies’ – Winner of the National Heritage Trust award and premiered on the History channel. Written and Directed “Growing up in the Dilly” Documentary which has been featured at the NSW YAC 2013 meeting and used for training Youth services. Sings in the acclaimed Pink Floyd cover band ‘Shine on’. Studied at the Australian Institute of Music specialising in classical / contemporary vocal technique. Bridget’s love of dance began at the age of 5, when she began my first year of tap dancing. Bridget has since trained in tap, jazz, ballet, hip-hop and modern contemporary. She has completed ADAP ballet to Transition level, FATD Jazz to grade 4 and FATD Tap to Silver Star. Bridget was a member of her dance schools performance team for many years and performed regularly at the City of Orange Dance Eisteddfod, Top Hat Eisteddfod, Extravadanza & Wollondilly Performing Arts Week. Bridget is currently studying Conservation Biology at the University of Wollongong and Zoo Keeping at Taronga Training Institute and holds a Certificate III in Captive animals (Zoo Keeping). Allira has been a student at STADS since 2012 starting in drama, singing and dance classes.She began teaching in 2016, teaching jazz, ballet and intermediate drama. Allira has been dancing for a total of 16 years in styles including; ballet, jazz, tap, irish, musical theatre, contemporary and modern. In 2011 her primary school won a national competition for junior rock eisteddford featuring Allira as a main character. Her background in dancing has allowed her to excel at many competitions both state and nation wide. She has participated in NIDA workshops and productions since 2012 including “Tales of the Arabian Nights”. Allira has been a featured extra in the televised series A Place to Call Home since season 1, as well as performing in the choir scene of Mel Gibson’s, Hacksaw Ridge. She has also had an extra’s role in Bruce Beresford’s new film “Ladies in Black”. Allira has participated in her high school musicals since 2012 and took on the lead as Dorothy in The Wizard of Oz in 2016. She graduated in 2017. In 2018, Allira studied at the Academy of Film, Theatre and Television for her advanced diploma of Screen and Media in Acting. She is looking forward to sharing what she has learnt with the younger generations. Bonnie Curtis is a multi-faceted artist, driven by an inquisitive imagination and a desire to discover. Born and bred in Sydney, Bonnie trained at the Academy of Music and Performing Arts, receiving a Bachelor of Dance, training professionally in ballet, contemporary, tap, jazz, musical theatre, and partnering, among other styles. Upon graduating Bonnie moved to Europe to further her artistic development, working and training with international artists and companies across Europe. Since returning to Australia, Bonnie participated in a secondment program with the pre-eminent contemporary dance company Australian Dance Theatre. Bonnie is also a certified teacher of Marie Walton-Mahon’s 'Progressing Ballet Technique’ syllabus. During her career, Bonnie has worked as an independent artist, playing the role of producer, director, choreographer and performer in works for film, installation and live performance. Her creations and collaborations have been featured at ImPulsTanz, MUMOK (AT), Girona Film Festival (ES), Quadstock Music Festival (US), CinéWomen|Womenartconnect (EU), Asia International Youth Short Film Exhibition (CN), Biennale of Sydney, Sydney World Film Festival, and Sydney Fringe Festival (AU), among others. Adele started dancing at age 8, beginning with cheerleading and later expanding to jazz, contemporary and hip-hop. Here her love for everything performance developed, competing across New South Wales in troupes and as a soloist. Adele was a member of her High Schools eisteddfod team from year 7 to 12, receiving an Excellence in Performing arts Bar and Application to Studies: Dance at her graduation. Studying Dance in High School enabled Adele to explore the choreography and artform side of dance. Junior Industry Experience 2013: Sisquo Fransisco, Jake Paul Green, Dayton Tavares and Tenille Tavares. Adele began her full-time studying in 2017 at the Australian College of Physical Education. She is currently studying a Bachelor of Dance and PDHPE Education. Amy Bennison: Acro / Cheer / Hip Hop Dance teacher and assistant. Amy has been dancing for 16 years, doing many styles including ballet, jazz, tap, hip hop, acro and cheerleading. She has competed in many eistedfords and dance and cheer competitions winning state and national championships in jazz, contemporary, lyrical, hip hop and cheerleading. Amy has also been a part of the team representing Australia in the Dance World championships of 2014 and 2018 in the USA, placing in the top ten both times. Amy has completed Glenn wood tap exams and ADV ballet exams, receiving gold awards and honours with distinction. In high school, she was a part of dance and cheer teams and performed in school musicals. Amy is now studying a bachelor of Science at the University of Sydney. Tom is 19 and began dancing and singing from Year 1 in school. He has performed in Dance eistedfodds and also sung at the Opera house. Tom started with S.T.A.D.S in 2012, joining the Drama classes. In 2013 he moved into singing and a year later took the lead of Danny in the Grease segment of the year. in 2015 Tom moved into an assistant teaching role and was a part of the incredible film Hacksaw Ridge, working with Mel Gibson and Andrew Garfield. 2017 saw Tom also have featured roles in A Place to Call Home as one of 'Larry's' mates as well as working on the much anticipated 'Ladies in Black'. Tom holds TAFE certificates in Peer Literacy Tutoring and a certificate 2 in Hospitality and hopes one day to become a teacher himself, being in the Core Academic Group throughout high school. 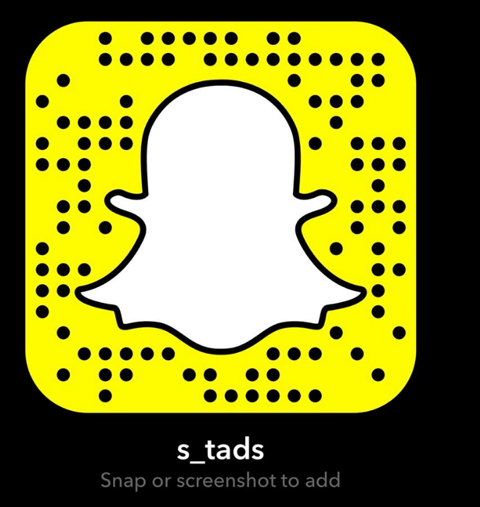 He is looking forward to 2019, it being his 8th year with S.T.A.D.S, and offering students a safe and reliable environment to have fun within learning and putting their skills into practice. Courtney fell in love with drama at the young age of 6 when she started acting classes with S.T.A.D.S in 2006. Throughout her time at S.T.A.D.S she has played countless lead roles and contributed greatly to the end of year performances. Courtney has participated in debating from year 7 to 11, public speaking competitions and The Da Vinci Decathalon where, working with one other student they achieved first place in the drama category. Courtney has also performed in a range of different musical performances with Wollondilly Anglican College, including Bye Bye Birdy, Grease, State Fair, Beauty and the Beast, The Wizard of Oz and Mary Poppins where she played the lead role of Mrs Banks. In 2017 she received The Academy Access Award - Recognising Academic Excellence, Leadership and Commitment to Community from Western Sydney University. Courtney feels incredibly honoured to be coming in as a teacher with S.T.A.D.S. Growing up in the S.T.A.D.S community she has been overwhelmed with support from teachers and have viewed them as role models. She is happy to have the opportunity to pass that on, being able to support the younger students and act as a role model, helping them develop as actors. Emma has studied and danced professionally throughout the UK and Europe, Emma is qualified through I.S.T.D (Imperial Society of Teachers of Dancing) Latin: Cha Cha, Samba, Salsa, Tango, Rumba, Foxtrot, Quickstep and I.S.T.D National Dance (National Dances from different countries). Taylor has been a S.T.A.D.S member since she was 12 years old, studying Drama, Singing and Dance. Taylor was accepted into early entry for UOW for a Bachelor of Arts in both Theatre and Visual Arts, but is now moving to University of Western Sydney to study Diversion Therapy. Taylor has done many public performances vocally and was a peer support leader in 2015, aiding year 7 students new to high school. Taylor has received head teacher awards in both Music and Visual arts, has had lead roles in many S.T.A.D.S performances, both dramatically and vocally, and is also involved in many art projects in the local community. Taylor wants to give other students the confidence that S.T.A.D.S has given her, helping them also to express themselves through stage and drama.